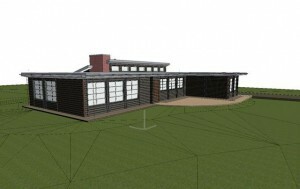 LEED Building Design and Construction for Homes version 4 (V4) is in many ways different than the previous 2008 version. Come learn about the changes that will take place and be ready for the October 31 2016 release before it comes. 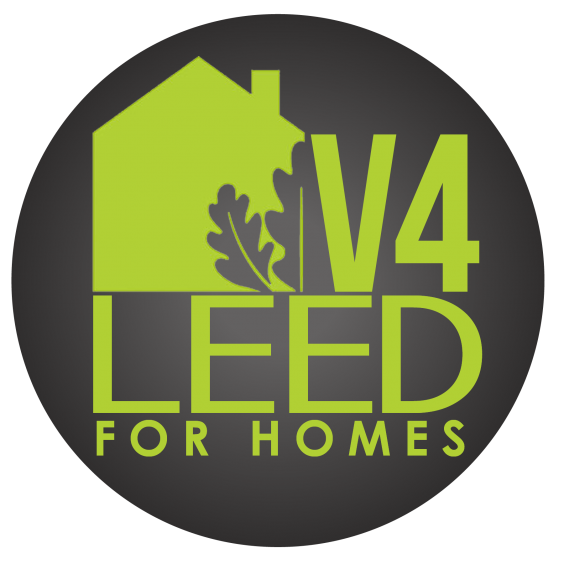 LEED for Homes v4 applies to new construction and major rehabs single family homes, neighborhoods, multifamily low, mid, high rise and mixed use buildings. Learn how you can use the program and now and be ahead of the game before the launch date. We will discuss what’s new, what stayed the same and answer questions to help you understand V4 better. 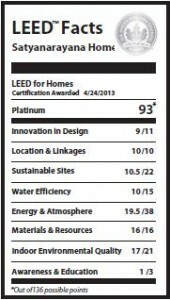 Builders, Designers, Architect, Developers, Remodelers, Researches and Policy Makers who have past LEED for Homes experience and understanding. 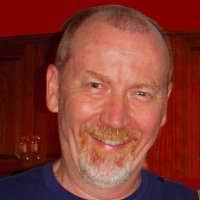 Presenter & Developer – Jay Hall, Ph.D, LEED APH “Jay has 30 years experience in market transformation, sustainable design of buildings, and energy efficiency. He is an expert in building energy modeling, and green building verification. 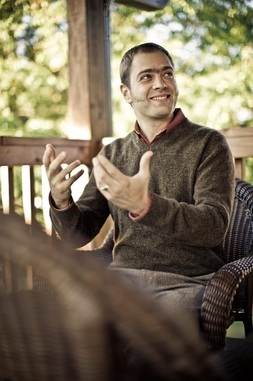 Jay earned his Ph.D. in Mechanical Engineering from Duke University. In 1989, he began with ICF International as a consultant working on EPA’s ENERGY STAR market transformation programs. Since 2004, Jay has provided independent consulting services to the US Green Building Council in developing the LEED for Homes program. Jay was Acting Director for LEED for Homes for two years. He is also the lead programmatic and verification consultant for the Green Communities Offset Fund. Jay has served on the Home Depot Foundation Awards of Excellence Selection Committee; the Habitat for Humanity International Partnership for Sustainable Buildings Advisory Committee; and, The Healthy House Institute Advisory Board. Jay is also a LEED Faculty member. Born and raised in Ontario, Canada, for the past 25 years, Jay and his wife, Kim, have resided with their two sons in Annapolis, Maryland. Jay Hall & Associates. 2. Watch the recording here. The webinars below are a summary of educational offerings that is prepared to deliver upon request or are recorded and accessible for free. Many are approved for AIA and GBCI continuing education credit. Contact us to schedule a presentation or if you would like to present through our network. Rosemarie Rossetti from the Universal Design Living Laboratory has 1 hour recorded webinar that takes you through her ZeroStep Certified Gold Home in Columbus Ohio and explains the thought behind the design and construction. This is a free webinar worth 1 AIA/GBCI/Nari Green & Potential State Contractor CEU. As a 501(c)3 charitable organization (view our details), we deliver green building education courses throughout the Midwest at minimal cost and at no profit. Please support us to help keep these going. Your donation to the Green Home Institute may be tax-deductible. Please check with your accountant or tax attorney for details. The residential, multifamily and small commercial building and remodeling community will come together December 10-11, 2013 at the second annual Illinois Better Buildings: Better Business Conference®. The conference has a new convenient location at the Crowne Plaza near Chicago O’Hare and attendees can expect to get the latest information on building technologies, strategies, techniques, financial incentives, code requirements and more. Whether you’re looking to obtain continuing education credits (more than seven hours of continuing education for builders, remodelers, contractors, architects, building performance consultants, home inspectors, raters, LEED APs, LEED Green Associates and more are available), stay ahead of the latest trends, increase your technical skills and code knowledge, find new business opportunities or learn new ideas—the Illinois Better Buildings: Better Business Conference is a not-to-be-missed event. The conference will feature 42 sessions and 44 topnotch local and national experts who will share their knowledge in various platforms to fit different learning styles. You’ll start off the conference in the newly designed expo to experience the general session. This action-packed session will host industry leaders who will make their best predictions about what the future may hold and help to prepare you for what’s to come. Sessions and live, for-credit demonstrations will be in full swing following the general session. You can choose from 12 different tracks and attend an entire track or mix and match the sessions that interest you most. You’ll definitely want to check out the demos at some point. These reality-based learning experience will give you the chance to challenge the technology and talk with those who know their products best. Finally, after taking in all that learning you’ll need some time to unwind. The social highlight of the conference—the reception on Tuesday night—will give you a chance to mingle with exhibitors and catchup with like-minded colleagues. There will even be a chance to participate in a friendly competition. Then, you’ll start it all over on Wednesday morning. Hope to see you there. Visit betterbuildingsil.org, take a look at the complete session program and register today. 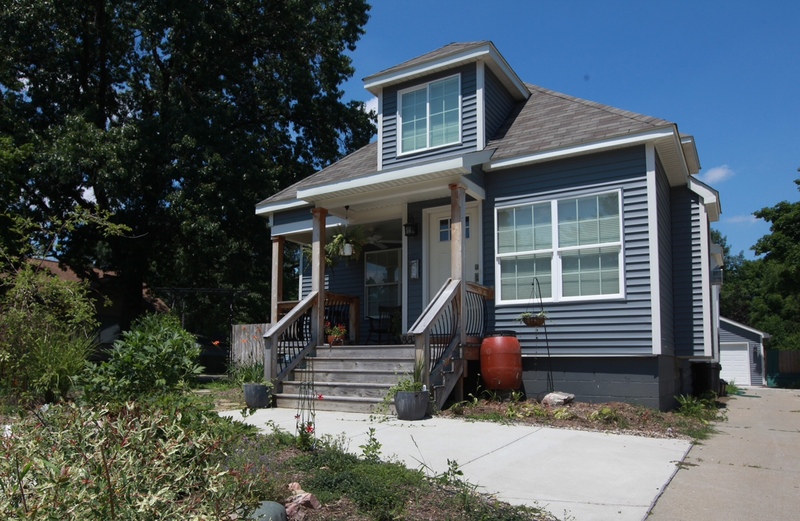 The Ferndale home is 45.6% more efficient in its energy use in comparison to an average 2,000 sq. 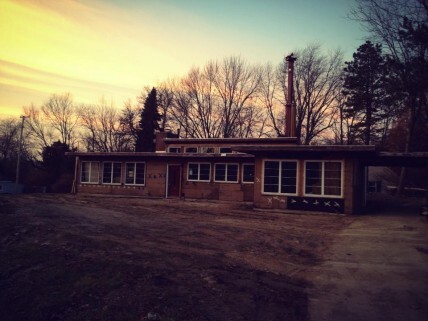 ft. existing Michigan home. The average is 3,948 kWh a month, while the Ferndale house used only 2,195 kWh. The overall cost for the electric use in the Ferndale residence is $74.56 a month, using 603 kWh, which is 34% less than the average, which costs $121 a month and uses 908 kWh. Heating for the Ferndale home uses 5.3 MCF and costs $23.85 a month, while the average uses 10.1 MCF and costs $127.46 a month. Altogether, the operation costs are 32% less than the average household to heat. The purpose of this project was to revitalize an abandoned home in disrepair, and through environmentally-friendly construction practices, to transform it into an energy-efficient home. The house is 95 years old, had gone into foreclosure and had been vandalized while sitting empty, so it required a complete overhaul. 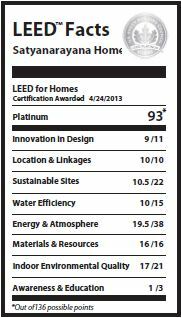 Lee Purches, HP3 Group and project Green Rater helped ensure the quality and sustainability success of this home. Lee connected the owner with Herzog Homes, which was willing to pursue LEED certification with some budgetary constraints. The goal of this project was to restore this old house, but also make it better through green building design and LEED certification. The design team followed LEED protocol for local labor and materials, using renewable or sustainable products in aiming for Gold LEED certification. The result is an efficient, practical, and affordable home that is no longer an eyesore in an established neighborhood. This home is the first of its kind in metro Detroit, setting an example for others to invest in Green Homes and to restore existing homes rather than build new. The home has been enlarged and now has a freestanding garage that also serves to capture water. The house also has its own high-efficiency controlled irrigation system that evenly distributes water in the front and back yards.The backyard contains a 200 square foot vegetable garden, which includes fruit trees. The garden benefits from the irrigation system and passive water collection to yield produce four to six months out of the year. The indoor air quality 10 times better due to the ERV and high efficiency furnace. The furnace is a two stage furnace that only runs at high capacity when necessary, and is 97% efficient. The house is fully enclosed with open cell spray icynene insulation, from the basement wall all the way up through both floors to and the roof deck. The interior finishes, walls and trim contains almost no VOC other than the drywall glue and paint, which have low VOC ratings below 100. New Jeld-Wen windows were also installed with a U-factor and solar heat gain of 31 for additional energy performance and reduced air leakage. Take a tour! August 3rd! Sign up Here! Conditioned Space 2,027 sq ft. Check out the gallery for some before and after pictures of this LEED Platinum home. Wood is an abundant, affordable and renewable, natural resource. Using scientific analysis through internationally standardized Life Cycle Assessment methodology, the significance of carbon is changing the way buildings are being built around the world. Greater objectivity in ‘green’ disclosure is being realized through Environmental Product Declarations (EPDs), resulting in greater recognition of wood’s benefits which include durability, fire performance, moisture resistance, and a positive impact on human health, in addition to sustainability. From six-story mid-rise, to 30-story wood composite structures, to Olympic ice arenas, and wood bridges with 100-year service lives, the world of wood today is an exciting display of creativity and innovation. Diverse projects from around the world demonstrate and inspire an unprecedented collaboration of materials destined to influence building professionals for decades to come. If you need continuing education units for a license in another state, this course may apply. Please consult your state’s requirements. 1. Watch the webinar for FREE. 2. Take the 10 question quiz and score at least 80% to be approved. Please also post a comment below and help add to the conversation. 3. Pay the fee below to get your certificate and CEUs. You must be an member to pay the reduced member fee. Let’s face it, if it doesn’t put money in your client’s pockets, or your pockets, it is very likely not going to happen. Sustainability is just fine as a concept but where the pedal hits the metal is on the accounting ledger. Learn how one remodeler, who refuses to do anything except green remodeling, has built a super successful, industry-leading company, which (even during the down turn) provided ample resources allowing him to take 3 months off each year. How does your vacation schedule look? Michael Anschel, a nationally recognized expert on green design, remodeling and building, writes, trains, and speaks for various publications and events around the nation. He is the owner of Otogawa-Anschel Design-Build–an award winning nationally celebrated design-build firm–and CEO of Verified Green Inc. which consults with local government, product manufacturers, suppliers, builders, and architects on green building. Michael led the effort to develop MN GreenStar, and now serves as Technical Research and Development liaison on the Board of Directors. Called “one of the nation’s most outspoken green building advocates” by MN Business, Michael successfully straddles the building, design, and green worlds by engineering profitability into sustainability. 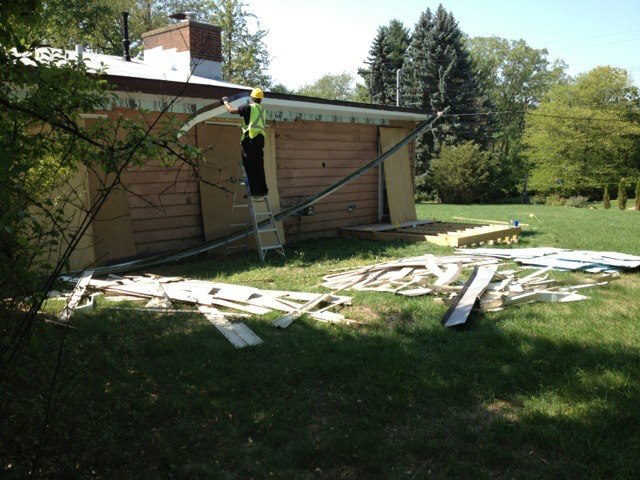 Learn about you can get involved in a Midwest Pilot launch of the GreenStar remodeling certification program and trainings. Don’t miss the opportunity to learn how you can utilize a green remodeling program that is cheaper and more inclusive than LEED for Homes Gut Rehabs and the National Green Building Standard small projects program. 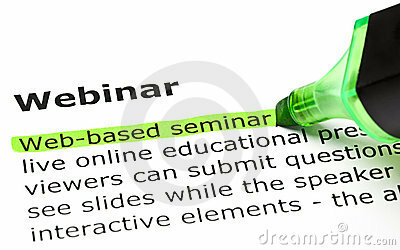 Watch the webinar for FREE. 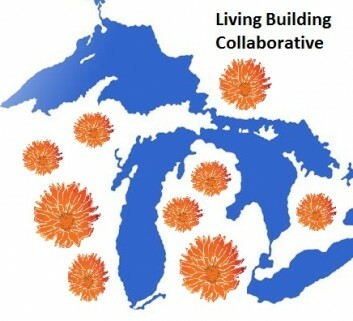 This workshop provides a 6-hour in-depth introduction to the Living Building Challenge. Attendees are the green building leaders in their community: design professionals, contractors, developers, owners, government officials and employees of public agencies. In short, anyone and everyone who can impact the development of the built environment. Richard has extensive experience establishing and supporting green building programs in national and international settings. A registered architect with degrees from Rice University and Virginia Tech, Graves was the U.S. Green Building Council’s Senior Vice President of Community. He has over a decade of field experience working on leading-edge green building projects and is a staunch advocate for transparency and responsibility in the building industry. As part of the Alliance’s mission to educate the builders, architects, developers and the public at larger on the latest in Green Building, we are offering several courses around the Midwest and online this year. Studying for your Green Associates? 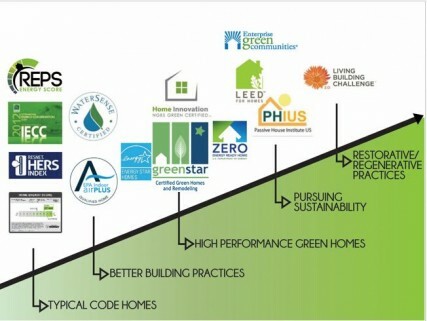 LEED AP Home? Group rates available on workshops! Contact info@alliancees.org for details. All programs approved for AIA and GBCI credit. Other CEU programs may also apply. As a 501(c)3 charitable organization (view our details), we deliver green building education courses through out the Midwest usually at cost. Please support us to help keep these going. Your donation to the Green Home Institute may be tax-deductible. Please check with your accountant or tax attorney for details.